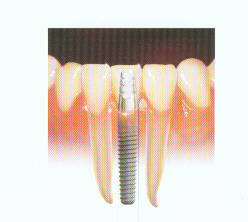 Dental Implants can be used to replace one or more teeth when a natural tooth is missing. There are many types of implants and many ways to restore dental implants. If you are looking for an office that does dental implants in Clearwater, look no further. We have years of experience in not just restoring implants, but also placing them in our office. Whether you are looking to replace a single tooth, multiple teeth, or your entire set of teeth, our Clearwater office has the latest technology to help you achieve the outcome you are looking for. Unlike most offices, our offices utilizes 3D bone scanning technology to asses the quality of your bone to determine whether implants are an option for you. The other advantage to our office is that we are trained not only to place the dental implants, but to also restore them. This is unique in that most dentists refer their patients to different offices to have implants done, where as we place them and restore them all in the same place. Patients often lose teeth due to dental disease or accident. If a single tooth is missing, there are several options for replacement. Dental Implants are a way to replace a single tooth with the another artificial tooth that feels like a natural tooth and is able to be maintained much like a natural tooth as well. If you’ve lost a tooth for any reason, call our Clearwater office at 727-531-9363 and let us help! Other options for tooth replacement include a dental bridge, which utilizes crowns or caps on the teeth on both sides of where the missing tooth is and attaches an artificial one in between. This is all cemented into place and does not come in and out like the third option, which is a partial denture. Often times when bone quality is insufficient for the placement of dental implants, patients chose a bridge as a good option for someone who prefers to not have a removable appliance. When multiple teeth are missing, Dental Implants give patients the option of replacing entire sections of teeth or even entire sets of teeth. Our Clearwater office specializes in replacing multiple missing teeth with dental implants and either crown work, or removable appliances that fasten to the dental implants. If you are missing only a few teeth, often times a dental fixed bridge can be done over dental implants, to replace entire sections of teeth without the hassle of something removable. If you have lost all of your teeth for any reason, or are in danger of losing all of your teeth and want a more secure option, then an implant supported denture may be right for you. Implant Supported dentures are a great option for patients looking for a more secure option to dentures than traditional dentures without implants. Often times, our Clearwater office is able to place dental implants in certain areas of the mouth to allow for a denture to be fastened to, giving patients a great option for a secure set of teeth at a reasonable cost. The entire process starts with a consultation which includes a 3D image of your jaws to determine if implants are an option. We then have a discussion regarding your goals for your teeth in the future. We will do a thorough examination of your teeth and gums and plan accordingly how we can proceed with implants and replacing your teeth. Finally a financial arrangement will be made after discussing the costs of the procedures and we will then schedule subsequent appointments. We are also the only office in Pinellas County that works hand in hand with New Teeth Now, an office of surgeons located in Lakeland who specialize in same day placement of implants and new sets of teeth. This is a great option for patients who are only interested in having teeth that they are unable to take in and out themselves. We work closely with this office to provide a local office for our patients in Pinellas county to minimize the trips to Lakeland to basically just the 1 or 2 surgical visits and the restorative work is done here in Clearwater. 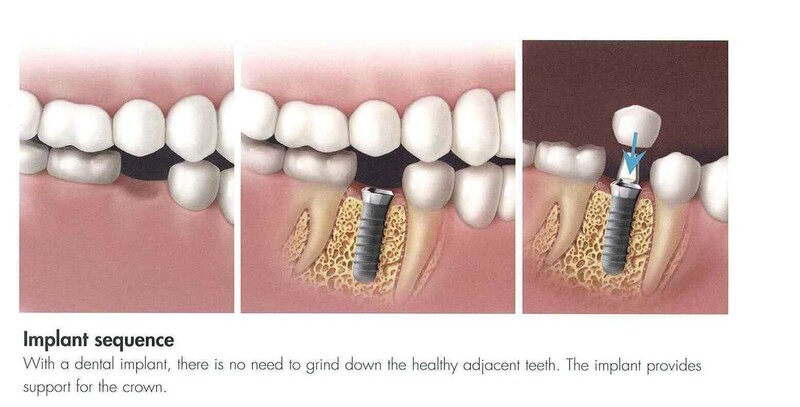 To learn more about this procedure visit www.newteethnow.com, or call our office today.